Lea Salonga is the third studio album by the Filipino Broadway pop singer Lea Salonga. It was her first album to receive an international release in 1993 through Atlantic Records, making her the first Filipino singer to be signed on an international record label. The album peaked at number 25 on the Billboard Heatseekers Albums, making Salonga the first Filipino to break onto the American chart. Maria Lea Carmen Imutan Salonga, (/ˈleɪə səˈlɒŋɡə/; born February 22, 1971) is a Filipina singer and actress best known for her roles in musical theatre, for supplying the singing voices of two Disney Princesses, and as a recording artist and television performer. At age 18, she originated the lead role of Kim in the musical Miss Saigon, first in the West End and then on Broadway, winning the Olivier and Theatre World Awards, and becoming the first Asian woman to win a Tony Award. Salonga is the first Filipino artist to sign with an international record label (Atlantic Records in 1993). She is also the first Philippine-based artist to have received a major album release and distribution deal in the United States, and one of the best-selling Filipino artists of all time, having sold over 19 million copies of her albums worldwide. 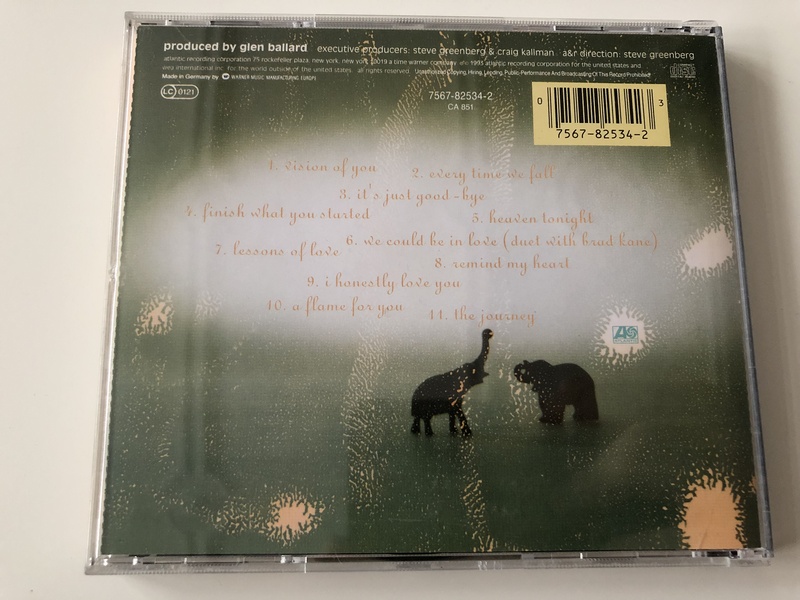 Click the button below to add the Lea Salonga / Produced by Glen Ballard / Direction: Steve Greenberg / Audio CD 1993 / Filipino Broadway pop singer Lea Salonga to your wish list.